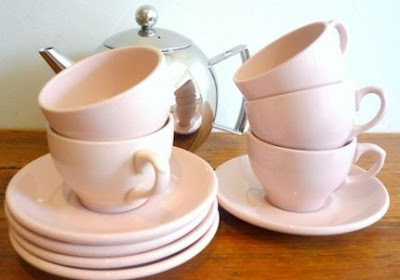 Pink teacups made in December 1969 are so retro chic! 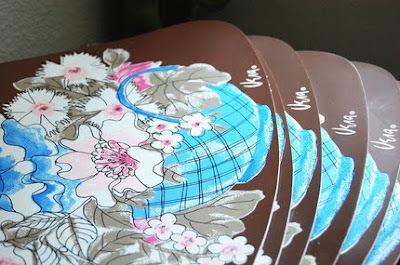 Vintage stoneware is used to create this upcycled plate stand. 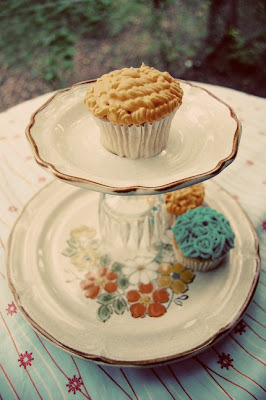 Vintage mason jars are always cool for the kitchen. 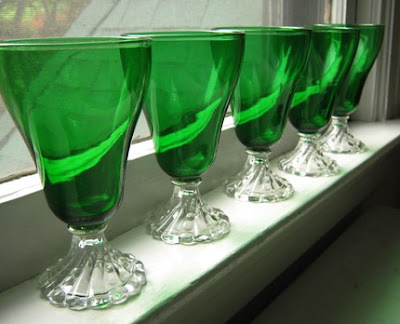 Goblets from Anchor Hocking were made from the early 1940s through the late 1960s. 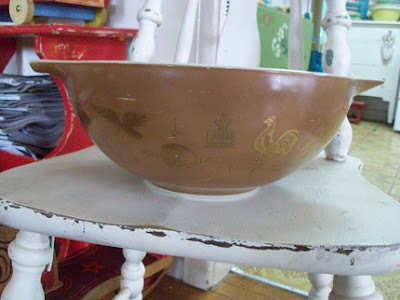 I think my Grandma used to have one of these Pyrex bowls with roosters on it. It's a collectible now, though! 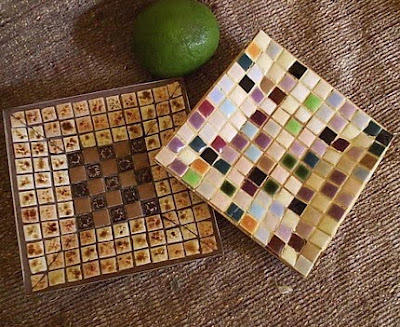 Tile trivets are from the late 1950s or early 1960s. 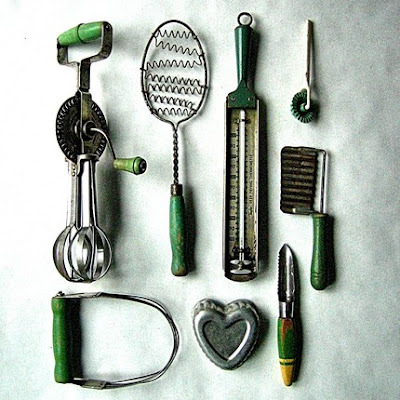 I love the one on the right. 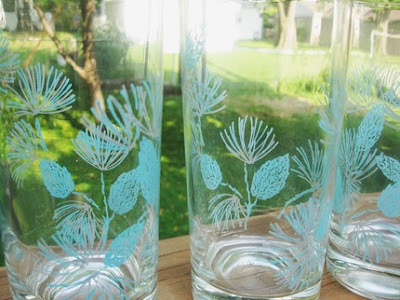 Vintage glasses have a robin's egg blue pattern. 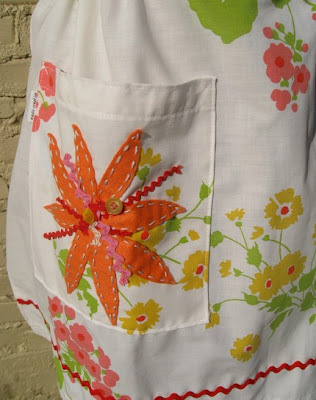 Vintage fabric is used to create this eco-chic and very retro apron sewn by Madly Creative. Pumpkin Donut Challenge: THE WINNER! You Still Can Enter the October Giveaway! Nurses Like C & G! Revenge CAN be a positive thing!